May 22, 2018 at 9:28 p.m. In my years selecting children’s books for the library, I have often envied the mathematical certainty of the hard sciences. After all, when the Pythagorean theorem doesn’t work, it’s usually our own bad arithmetic at fault, and the Planck constant isn’t exactly wishy-washy. It’s a little more difficult to make sense of children’s literature sometimes. Perhaps this arises from the fact that its consumers may go from laughing, to crying, to coloring the cat’s face blue with a magic marker, all during the time it takes to get through one book. Since we live in a universe where a perennial bestseller can be made from a tale in which a boy reduces his favorite tree to a stump and the stump still loves him, we sorely need some clarifying principles. Here are a few I’ve been kicking around. When I was a kid, everyone in my house looked forward to watching "The Muppet Show" at 6:30 on Saturday evenings. It may have been the only show my sister and I liked that my parents seemed to enjoy as much as we did. Only later did I understand that it contained just as many jokes written for them and was steeped in the post-vaudevillian humor that pervaded the pop culture of their own childhoods. The "Muppet" Quotient is a measure of how humorous any given children’s book will be to the parents of its intended audience. Using myself as a guinea pig over the past year, the three picture books I’ve read with the highest "Muppet" Quotient were Roz Chast’s "Too Busy Marco," Kate Beaton’s "The Princess and the Pony," and Chris Monroe’s "Sneaky Sheep." Boy meets fawn. Fawn eats crops. Boy kills fawn. Boy flees, starves, and returns a haunted soul. Don’t get me wrong—I adore Marjorie Kinnan Rawlings’ "The Yearling," but it’s pretty strong stuff for kids. In fact, it was an adult bestseller when first published in 1938 and won the Pulitzer Prize, not the Newbery Medal. Somehow, possibly due to the popularity of the 1946 film version, the book’s audience morphed, and it became known as a children’s classic. In recent years, its readership has changed again somewhat; chances are these days, if you’re reading "The Yearling," you’re a grown-up (even if you’re crying like baby). A lot of books, especially great ones, have experienced a similar evolution. "Watership Down" is another, with the opposite arc. Richard Adams said he based the book on stories he told to his children during long car rides, but it was most popular with adult readers during its heyday in the 1970’s, who may have been primed to delve into the psyches of talking rabbits after spending so much time doting on their pet rocks. 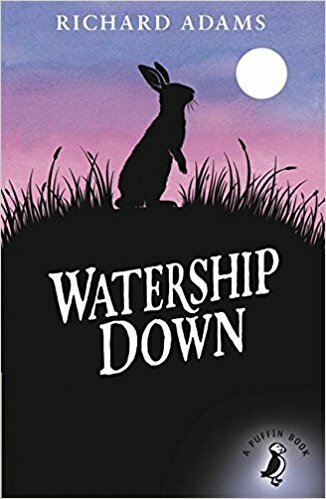 Today, "Watership Down" is generally considered a work for children once again, and the upcoming BBC-Netflix re-animation of the series, featuring CGI animation by Pete Dodd (of "Fantastic Mr. Fox" fame), is marketed as such. Then there is J.R.R. Tolkien’s "Lord of the Rings," which everyone has always loved, perhaps because, as Tolkien himself said, “It was not written ‘for children,' or for any kind of person in particular, but for itself." “No such country child would have spent day after day beside the manure pile to which the pig was consigned ... Fern, the real center of the book, is never developed.” So wrote a 1952 reviewer of "Charlotte’s Web" in the pages of Horn Book, the most well-respected children’s book review journal in history. "Charlotte’s Web" didn’t win the Newbery, either, but there is something irresistible about a book showing up curmudgeonly reviewers and reluctant publishers to prove itself over the course of time. 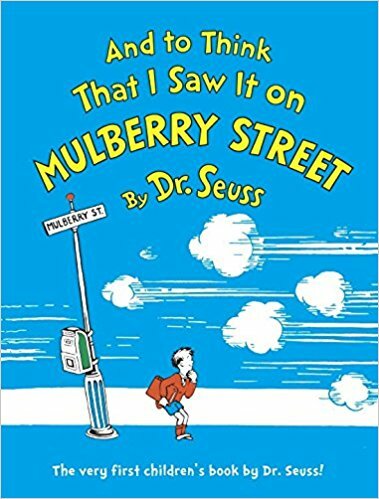 Other oft-cited examples are the 26 rejections earned by Madeline L’Engle’s "A Wrinkle in Time" (“This is pleasantly done — but for me there isn’t quite enough story value,” one editor intoned), and the 27 received by Dr. Seuss’s first children’s book, "And to Think That I Saw it on Mulberry Street." When will authors and illustrators let a porcupine be a porcupine, and not just a convenient symbol for a book about how poor old Poky can’t find love? I’ve had it with the rampant pigeonholing of animals. Oops, I just did it myself (do pigeons even hang out in holes?). But really. Blobfish don’t find themselves ugly or lonely. And sloths aren't actually lazy. What I like least about this phenomenon is that it’s more serious than it sounds. As we try to create a culture of children’s literature inclusive of our many diverse human voices, it would be wise for authors and illustrators to remember how reliance on clichés and the reinforcement of a totally human-centric view of animals teaches children not to question their own (possibly false) assumptions about the people in their own worlds. — Dan Coleman is a collection development librarian at the Lawrence Public Library.